Do you know what’s in that bag of popcorn you put in the microwave? Are you ready for the answer? 1. Diacetyl: It is used a s a flavoring in microwave popcorn. It can obliterate the airways, and lungs if exposed to too much. It was used in World War I, to do exactly that. Factory works who are exposed to the chemical have irreversible lung damage. Brown University documented three cases of bronchiolitis obliterans (caused by diacetyl) in microwave popcorn lovers. One man, 47, ate three bags a day, and needed a lung transplant. A 56 year old coughed up blood one day, and he ate 3 bags of microwave popcorn a day. The University of Minnesota reported that the chemical diacetyl, can pass the blood-brain barrier, and weaken the brain’s defenses against the formation of amyloid plaques, causing Alzheimer’s. 2. Perfluorooctanoic Acid: Most manufacturer’s line the microwave popcorn bags with perfluorooctanoic acid (PFOA) to keep grease from leaking out. When the bags are heated, they leach the PFOA into the popcorn. 3. Tertiary Butylhydroquinone (TBHQ): This chemical is made from butane, a known toxic gas. Medical studies have reported that just eating 1 gram could cause ADHD in children, asthma, allergies, dermatitis, and dizziness. It’s been associated with stomach cancer in laboratory animals. Most of the corn in the U.S.A., about 86% is harvested from GMO seeds. We also noted, microwavable popcorn is not sold in health food stores. But you can buy lose non-gmo corn kernels, or in jars, and that brings us to our featured recipe: Organic Coconut Popcorn. Here is what you will need. Heat 3 tablespoons of refined coconut oil in a 3 quart pan over medium heat. Let oil solids melt. 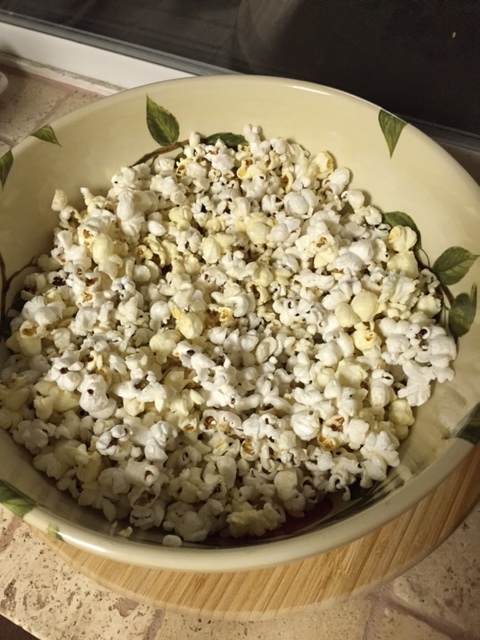 From 1/3 cup of organic popcorn kernels, add 4 kernels to heated oil and cover pan with lid. 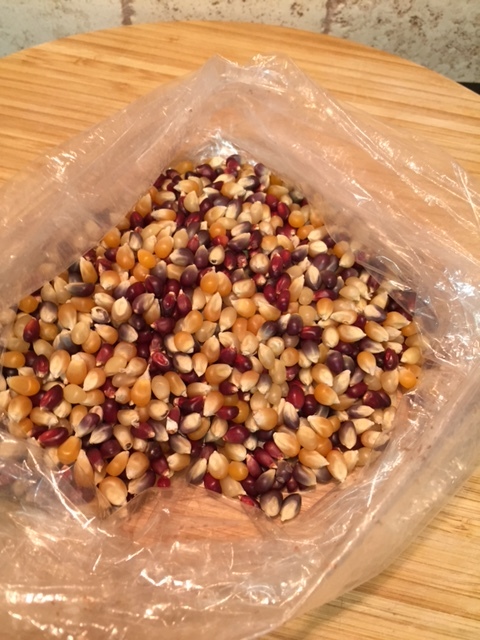 When the kernels pop, remove pan from heat and add the 1/3 cup of kernels to pan in an even layer. 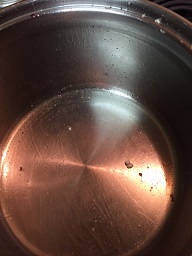 Return lid to pan and count to 30. Return pan to heat and wait for kernels to start popping. Once they do, gently shake pan over heat. When you no longer hear any popping remove pan from heat and add popcorn to a serving bowl. With pan still hot, add organic pasture fed cows butter or organic virgin coconut oil, and melt. Next pour over popcorn and mix in. You can also add Himalayan salt, organic smoked paprika, or organic Parmesan cheese. Follow this method and ever kernel of popcorn will always pop evenly and not burn, not even the pan. You can never say that about those chemical filled microwave popcorn bags. This entry was posted in Brunch or Lunch, Dessert, Party Favorites and tagged Alzheimer's disease, Artichoke Dip, Ben & Jerry's, Beringer Vineyards, Bisphenol A, Diacetyl, Food and Drug Administration, Health, Himalayan salt, Microwave popcorn, organic popcorn, Parmesan cheese, pastured feed butter, Perfluorooctanoic acid, popcorn, refined coconut oil, Sea salt, Smoked Paprika, Tertiary Butylhydroquinone, virgin coconut butter. Bookmark the permalink. Just wanted to thank you again for this recipe. I bought popcorn kernels and followed your instructions. It was easy, delicious, and although I ate too much, I congratulated myself on a healthy snack!